Sunday October 4, I’ll join up with 35 other cyclists from various states, to bicycle 325-miles from Fredericksburg VA to Raleigh NC. 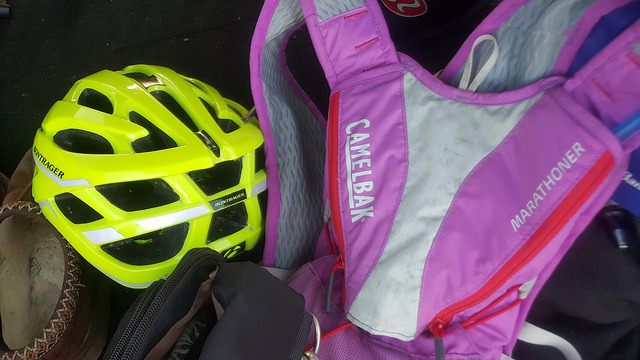 The ride is part of the Week A Year Tour in support of the East Coast Greenway (ECG), a 2,900-mile trail route that stretches from the Canadian border at Calais, Maine, to Key West, Florida. We will be riding 6 days — and it appears that on Day 1 we may have a special guest. Hurricane Joaquin! While the weather gods are still calculating the storm path, Virginia and North Carolina have already declared states of emergency! Oh let the fun begin!!! The East Coast Greenway is heading into its 25th year, creating a national treasure for all Americans to enjoy for generations to come. You can learn more about the East Coast Greenway at www.greenway.org and follow the Week a Year Tour on Twitter using the hashtag #WAY15. 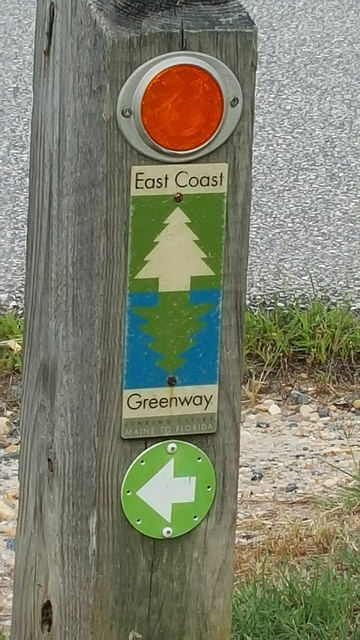 The East Coast Greenway Alliance (ECGA) is the non-profit organization spearheading the development of the East Coast Greenway, a 2,900 mile trail route from Calais, Maine, to Key West, Florida. Based in Durham, NC, the ECGA also employs field staff in each of its four regions. The Alliance promotes the vision for connecting local trails into a continuous route, provides strategic assistance for states, counties, and municipalities that build local trail sections, officially designates trails as part of the ECG trail system, posts signage, and makes maps and guides to facilitate use of the Greenway.